Patrick H. Hicks | Littler Mendelson P.C. Patrick has completed the Northwestern University Kellogg School of Management Leadership training. Active in firm management, he chairs the EPLI Committee and serves on the Diversity Advisory Group. He is a member of the Re-Engineering Committee, Profitability/Project Management Committee, the Career Advocacy Program Committee, and the Business Development Council Committee. 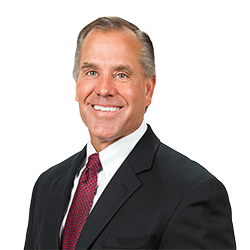 He is a former member of Littler's Board of Directors, founding shareholder and former office managing shareholder of the Las Vegas and Reno offices, and former co-chair of the Hospitality Practice Group. Privacy & Data Security Law Journal, Vol. 2, No.3. President Trump’s First 100 Days: What Does It Mean for Employers?